In addition, your coin will also be certified as a First day of Issue (FDI) coin by NGC – independent authentication that your coin was released by the mint during the premier day of the series' issue. 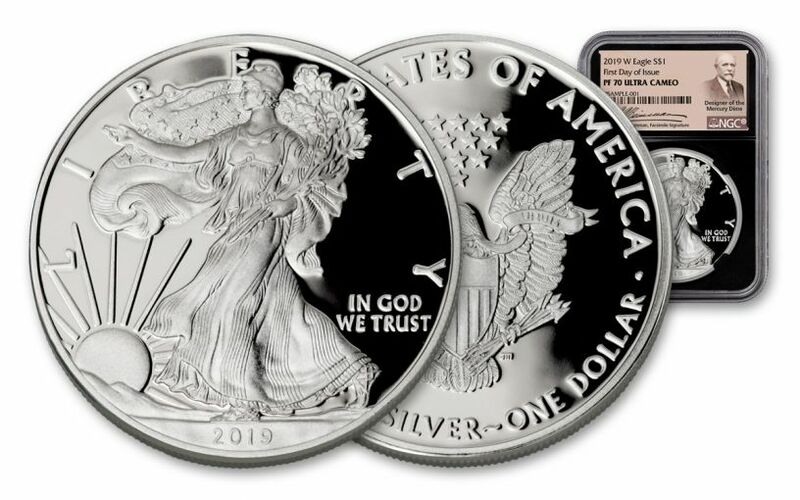 It will also come sonically sealed in an acrylic holder with a black display core and an exclusive label that shows a portrait of the designer of the Walking Liberty, Adolph A. Weinman. 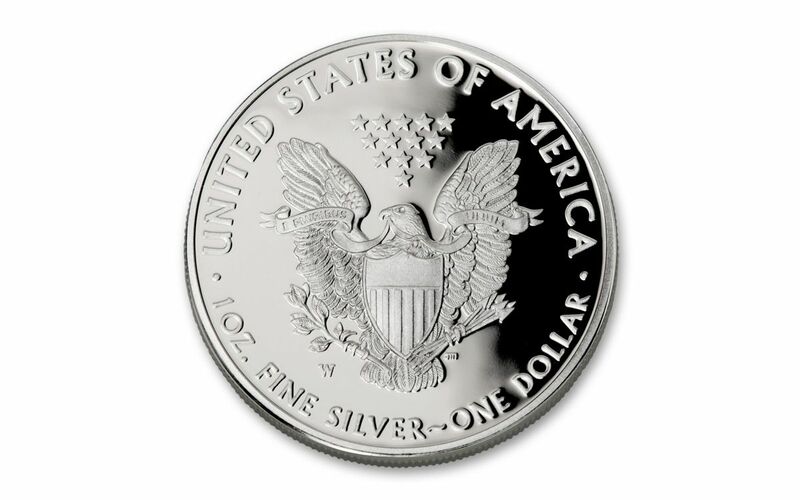 KEY FIRST DAY OF ISSUE CERTIFICATION – Your coin will also be certified as an Early Releases (ER) coin by NGC, meaning it was received by NGC or an NGC-approved depository by the release date or on the business day within 24 hours of the official release date. It will also come sonically sealed in an acrylic holder with a black display core and an exclusive label that shows a portrait of Adolph A. Weinman. 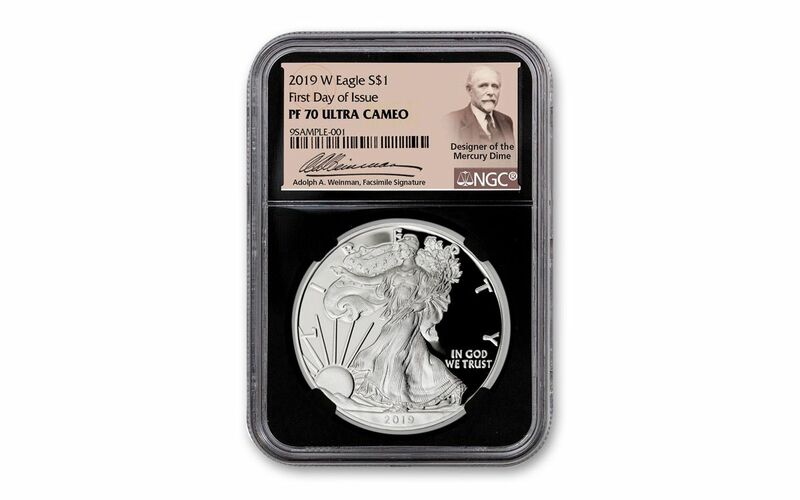 Silver Eagles like these are perennial favorites, usually flying out of our vaults as soon as they arrive! 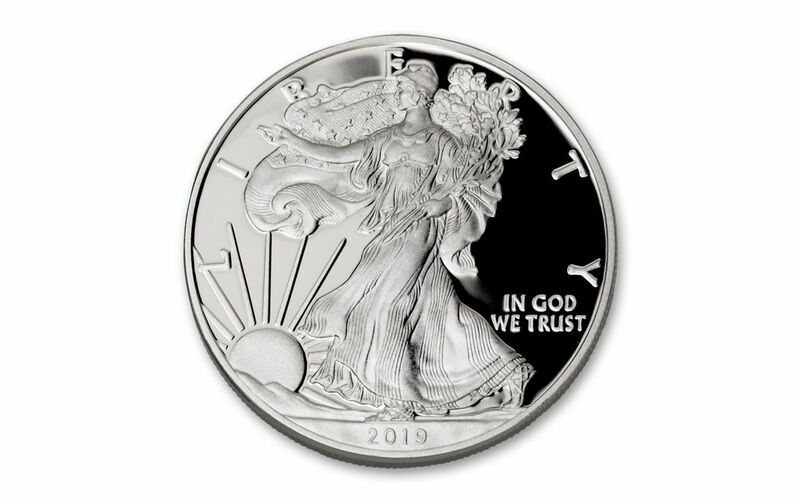 Whether you're new to the series, a diehard collector or a silver stacker looking to add to your reserve, this is your chance to secure these 2019 Silver Eagles in perfect Proof-70 First Day of issue condition for your very own. Don't wait – order yours today!